As boxing in the United States struggles to find a foothold like in the glory days of the 70s and 80s, one wonders the value of reviving the last big American star Floyd Mayweather for a comeback fight against Errol Spence or Keith Thurman. As the last major boxing star from the US, Mayweather has departed boxing having not transferred his star power and value to a young, new American star. 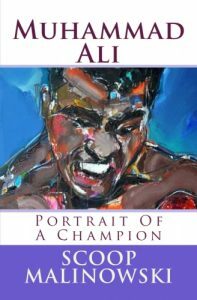 To understand how transferring star power works, consider Oscar De La Hoya passing the torch to Mayweather, Holmes passing it to Tyson, and Ali passing it to Holmes for examples. These fights all anointed new superstar marquee attractions. Yet Mayweather still sits on his value as a starmaker, refusing to face the next generation superstars which would give the sport a much-needed revenue boost. Thurman and Spence are the two great welters who are presently languishing in irrelevance and each would benefit enormously by getting a fight with Mayweather. The entire sport would benefit massively if Mayweather could be lured – or forced – to fight Spence or Thurman. Not to mention the Vegas boxing establishment, the gambling industry, the TV networks, the entire industry would celebrate the electricity and thrill of a Mayweather vs Thurman or Spence superfight. Mayweather certainly benefited and profited handsomely by being the protected entity of the boxing establishment and Vegas system for over a decade. One wonders if the boxing establishment and Vegas system has an interest and a need to physically force or threaten Mayweather to pay back the piper and do what’s right for the future of the sport – get in the ring and fight Keith Thurman or Errol Spence as a sacrifice to kickstart the sport into a new generation. Al Haymon controls Mayweather, Spence and Thurman. As Haymon flounders in trying to sustain his status as a major power broker in the sport – he currently controls no major boxing attractions who have selling/drawing power – you have to wonder if Haymon could betray Mayweather now and begin to pressure and push Mayweather to fight Spence or Thurman. Mayweather could see the dollar signs in such a move. Mayweather could demand a percentage of all future Spence or Thurman earnings over the next ten years, just as James J. Braddock’s manager demanded ten percent of all of Joe Louis’s earnings for the next ten years after Louis knocked out Braddock for the title. You have to remember, greed is what runs boxing. And right now American boxing is not generating the revenues it used to and the short term and long term forecasts do not look particularly bright for boxing at the present moment. Two things are certain, boxing in America has stagnated since Mayweather hung up the gloves, or more specifically, after the Pacquiao fight three years ago. And Al Haymon desperately needs to get Spence or Thurman a superfight with Floyd Mayweather more than anything else in the world, if he wants to continue as a major kingpin in boxing. Connect the dots, follow the money. And wonder if extreme measures are what is necessary to force Floyd Mayweather do what’s right for the empire of Al Haymon and the future of the sport in America. 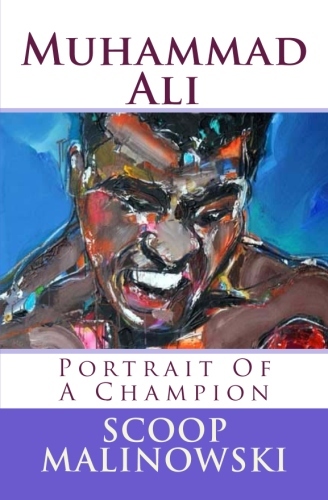 Scoop’s book “Muhammad Ali: Portrait of a Champion” is available at amazon for $9.99.